Unlike most traditional biscotti, these soft ones are not twice-baked and has butter in them. I must say...Don't be put off by its "soft" description. These biscotti are surprisingly superb! They are super easy to make and very delicious. I've made these several times and they are always a great hit for relaxing afternoon tea-time and all sort of occasions. 1. Preheat the oven to 180°C or 160°C, fan forced. Line 2 baking trays with baking paper. 2. Combine butter, eggs, milk, vanilla and lemon rind. Combine flour, sugar, fruit and chocolate bits. Make a well in dry ingredients and stir in butter mixture until a soft dough forms. Cover with a tea towel and rest for 10 mins. 3. Divide and shape dough into 30cm logs. Place on trays. Bake for 25 mins, until golden. Cool on tray for 15 mins. Dust with icing sugar. While still warm, cut into 2cm slices. Serve. Note: I use half the recipe to make two 20cm logs. I often find biscotti too hard. Your version sounds wonderful. I've never tried soft biscotti before. These look amazing! SOFT sounds good to me! :) The biscotti looks wonderful! I have always wanted to try baking biscotti! But I have not heard of soft biscotti before! How I would love to try one! Yummy with a cup of tea! I love biscotti! These look fabulous! usually biscotti is hard, soft biscotti sounds interesting to me! I wonder whether the texture will be like a cake or bread? I love the look of these! Biscotti for some reason is really Christmas-y. I prefer soft biscotti anyway..so I'm not put off at all! I hate the sort that feels like it will break my teeth! This is the first time I ever heard of the soft version biscotti. Must be so luscious. Thanks so much for sharing it & enjoy your evening. Love it Zoe; and These my husband would love. when you mentioned soft, are they also kind of chewy? This is great - cause my problem with biscotti is that they are too hard! - so this is perfect - thanks for a great recipe! I usually stay away from biscotti because I'm not a fan of hard baked goods, but this I'll have to try! Zoe, lovely biscottis. Anymore left? Have a nice weekend. As Christmas are close I started entering the festive mood. That means sweets, many sweets. These cuties look delicious Zoe! I have moved to a new site www.culinaryflavors.gr. Please be so kind as to change my url on your following up list! Thanks so much and have a great day! 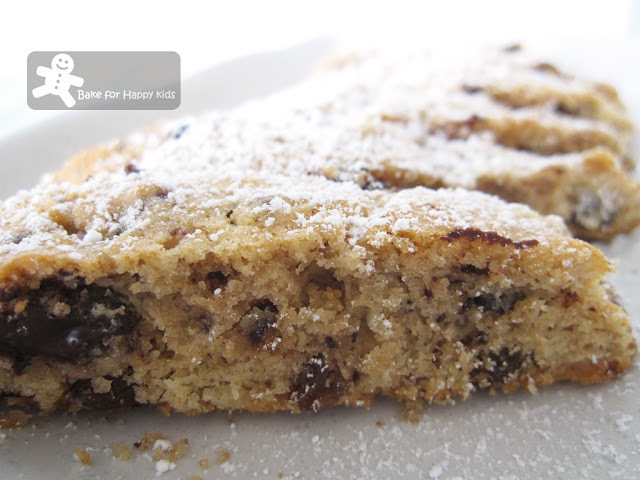 Congrats on your delicious soft biscotti,dear!Kisses from Greece! These biscotti look delicious! Great texture! I love the idea of soft biscotti...they look great! I like the idea of a soft biscotti. One reason I am not a big biscotti fan is because they are usually so hard and crunchy. These sound great with the lemon and chocolate! A perfect treat with tea. 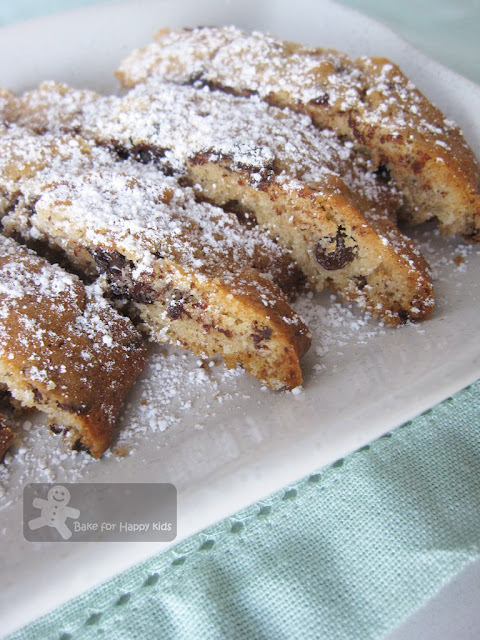 i'm not a fan of hard biscotti unless it is dunked in hot chocolate so this sounds perfect! definitely gonna include this for my xmas bakes!